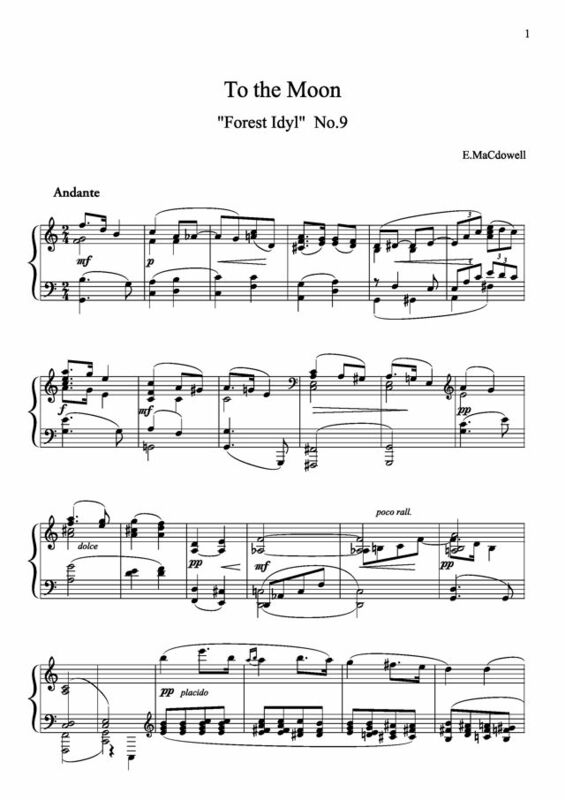 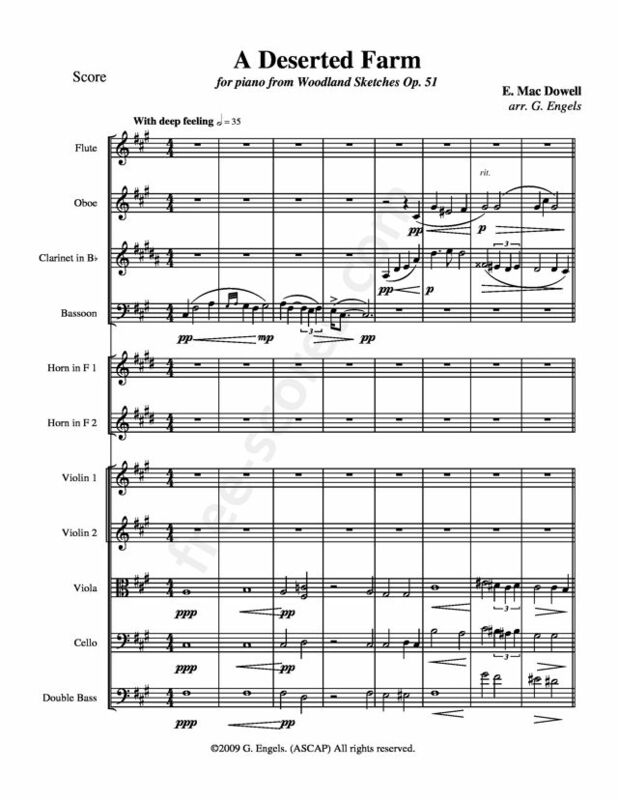 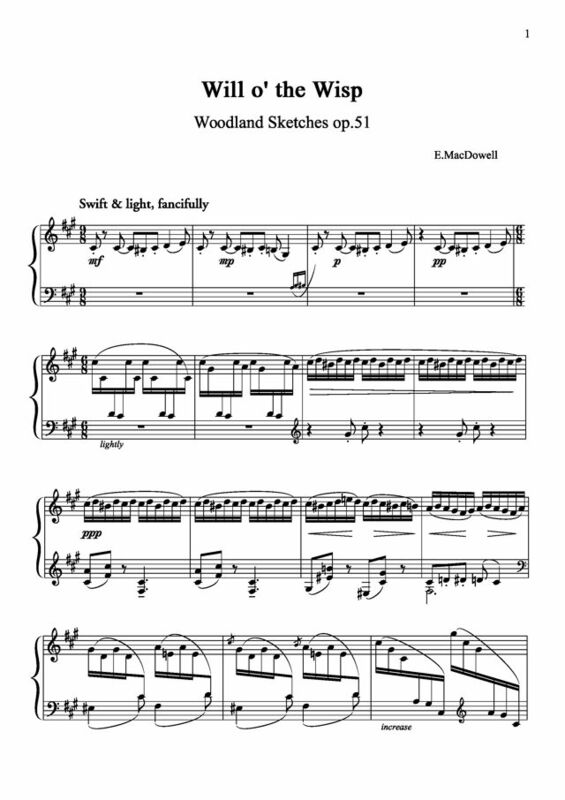 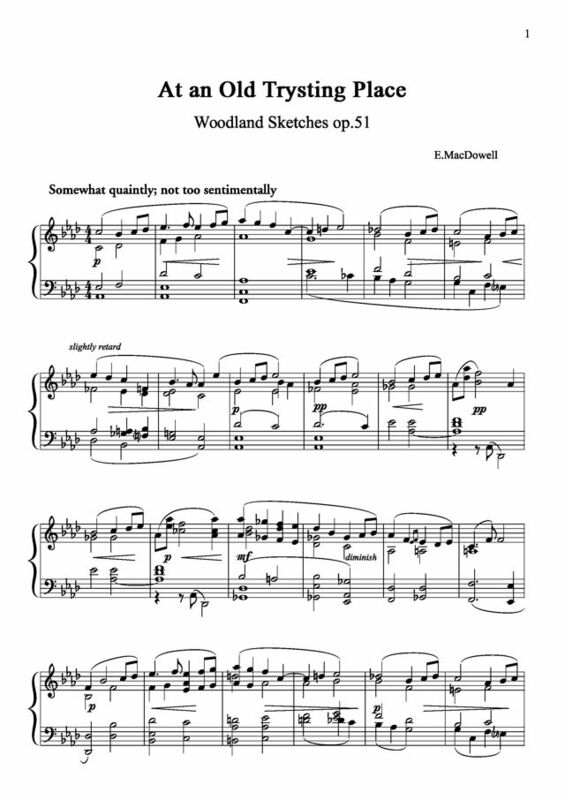 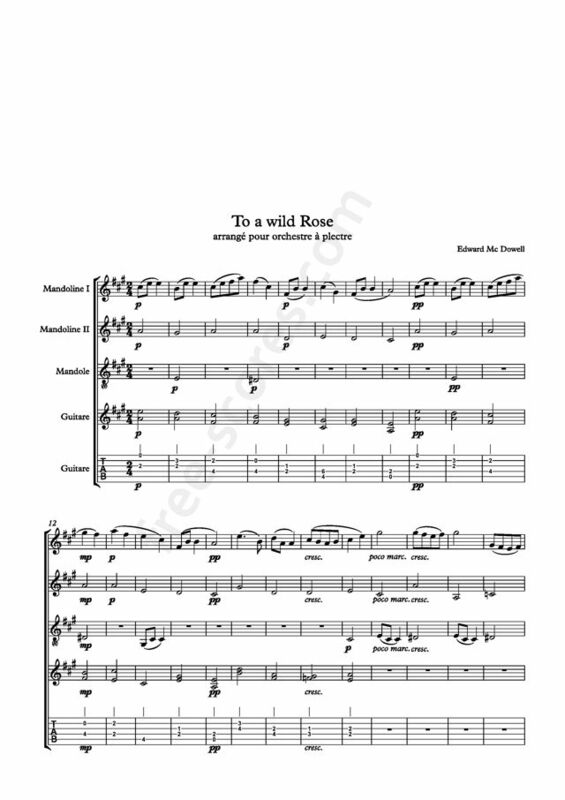 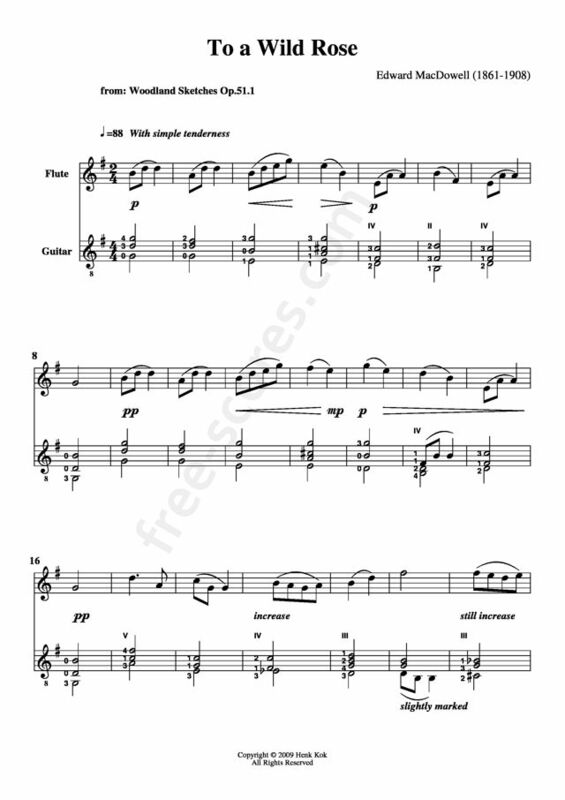 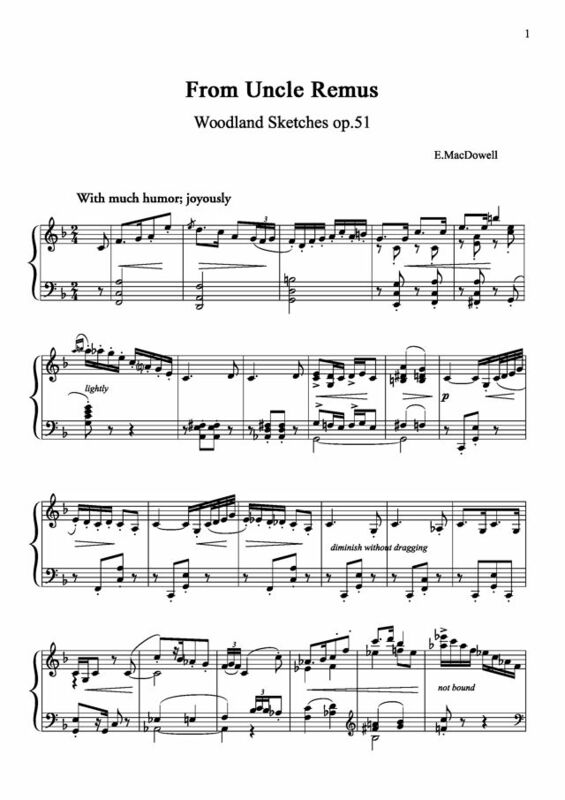 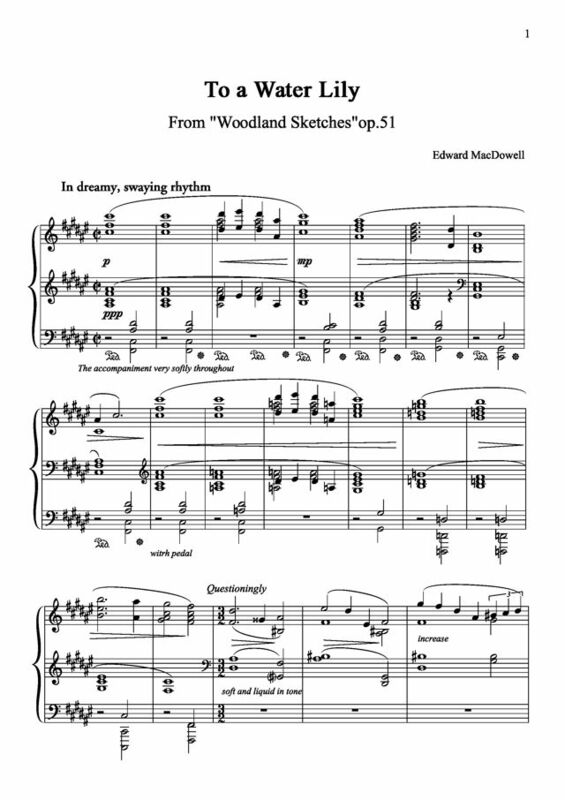 Edward Alexander MacDowell (New York, December 18, 1860 - January 23, 1908) was an American composer and pianist, best known for his second piano concerto and his piano suites "Woodland Sketches", "Sea Pieces", and "New England Idyls". 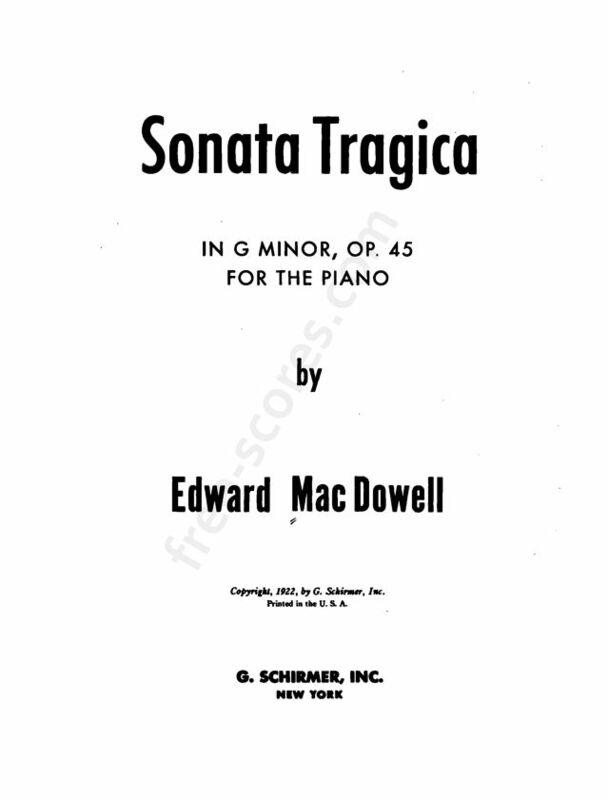 Juan Buitrago, a Colombian violinist who was living with the MacDowell family at the time, gave the young Edward his first piano lessons and later with friends of Buitrago, including lessons from Teresa Carreño, a Venezuelan pianist. 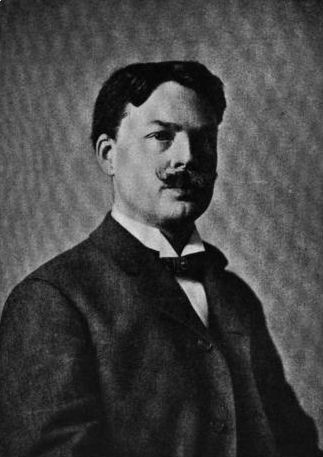 His family moved to Paris, France and in 1877 Edward MacDowell was admitted to the Paris Conservatoire, then he went to the Hoch Conservatory in Frankfurt, Germany to study piano with Carl Heymann and composition with Joachim Raff. 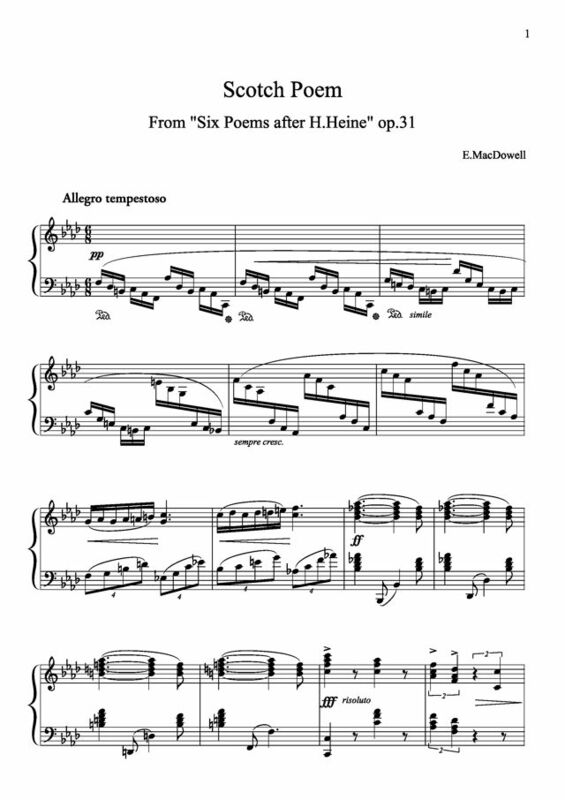 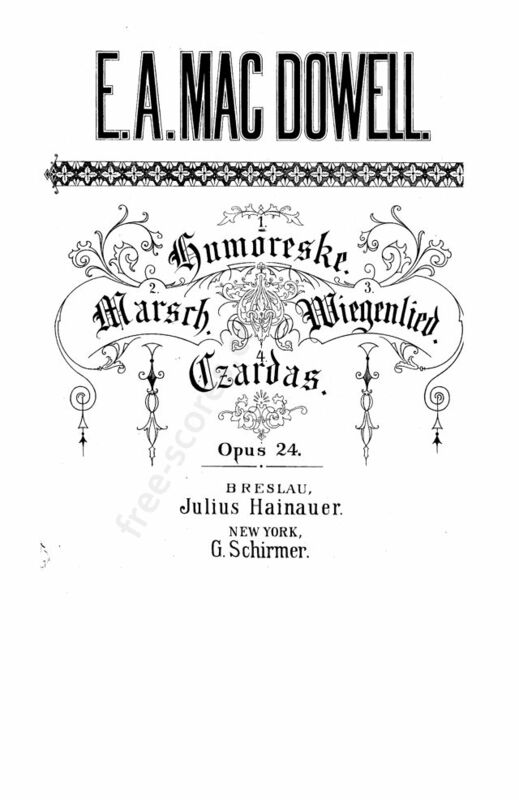 When Franz Liszt visited the Conservatory in 1879, a recital of student compositions was put on and MacDowell presented some of his own along with transcriptions of a Liszt symphonic poem. 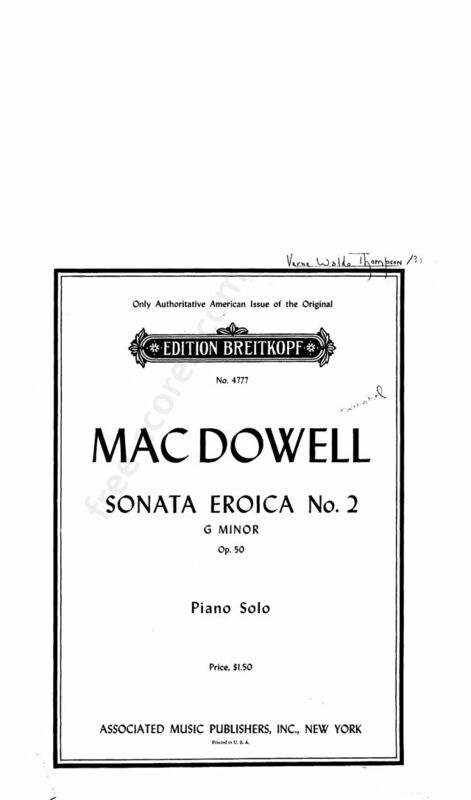 MacDowell taught piano at the Darmstadt Conservatory for a year. 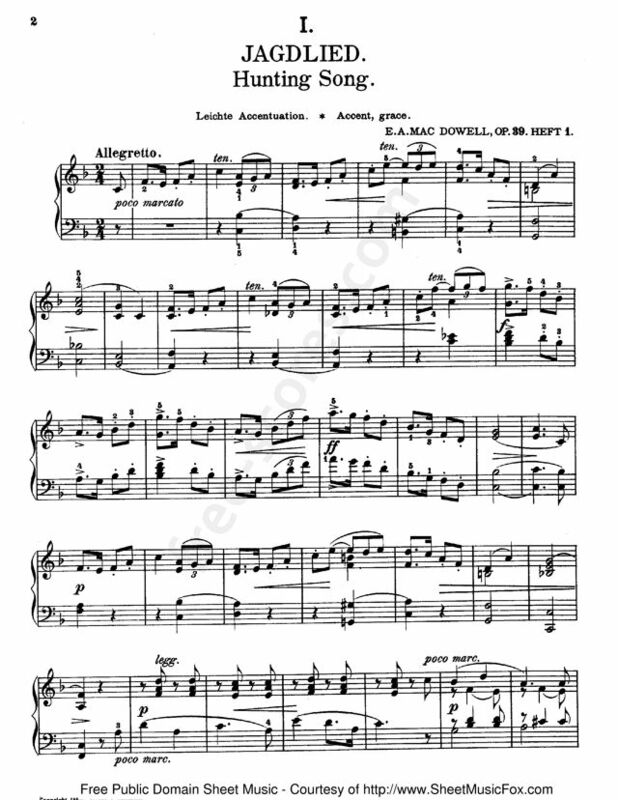 In 1884, MacDowell married Marian Griswold Nevins, who had been one of his piano students. 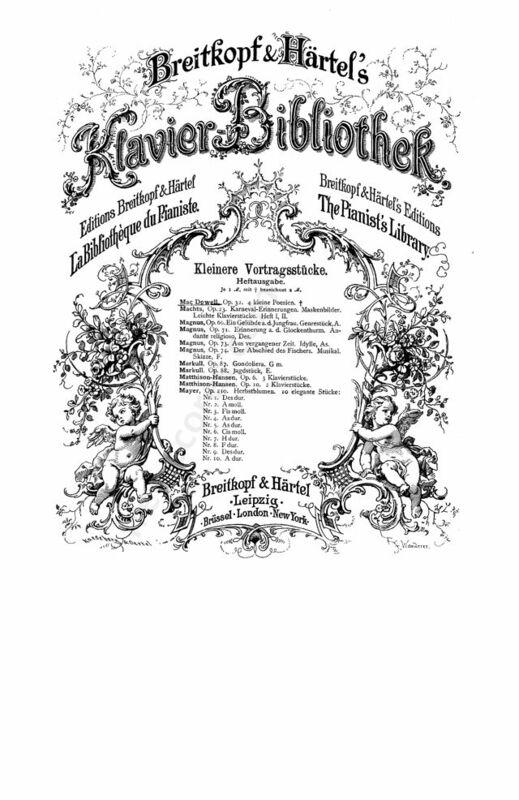 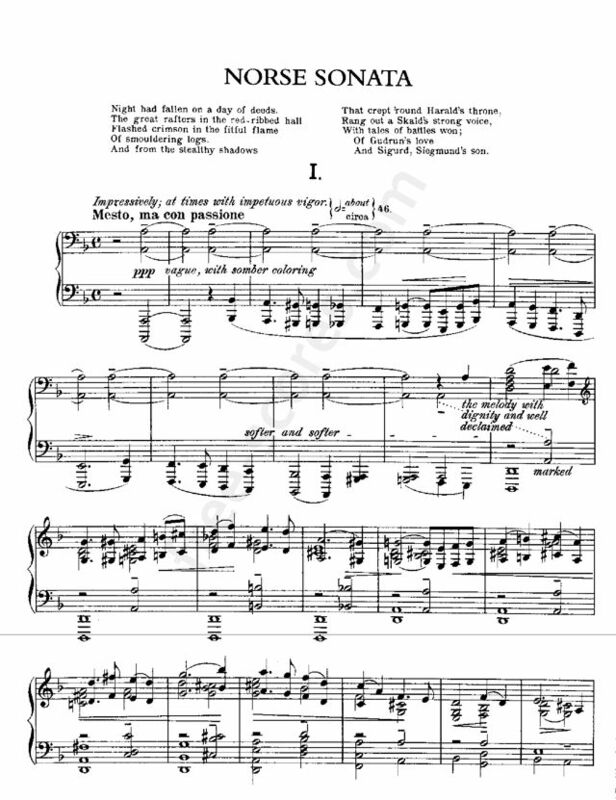 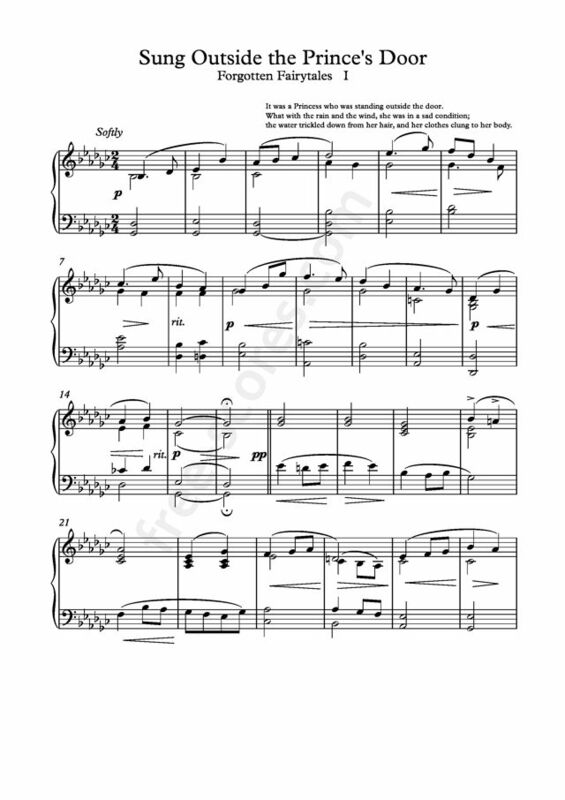 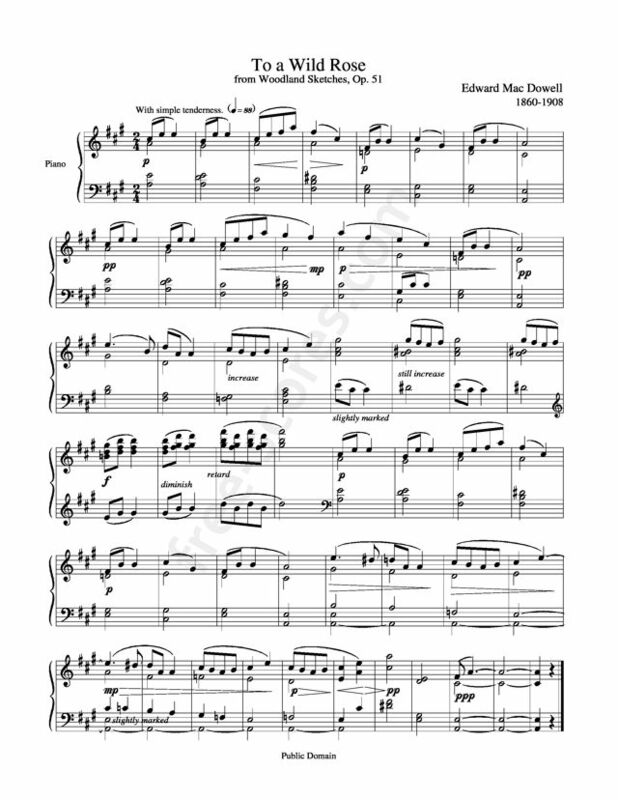 About the time that MacDowell composed a piano piece titled 'Cradle Song', Marian suffered an illness resulting in an inability to bear children. 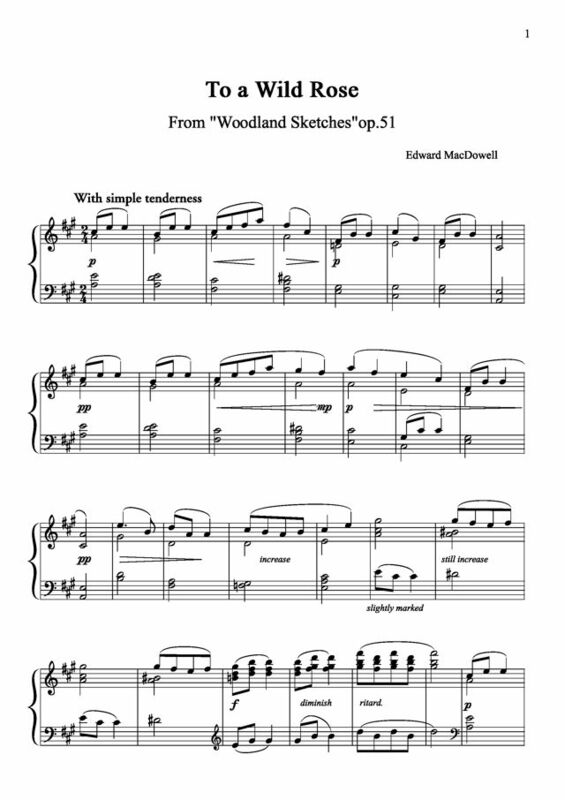 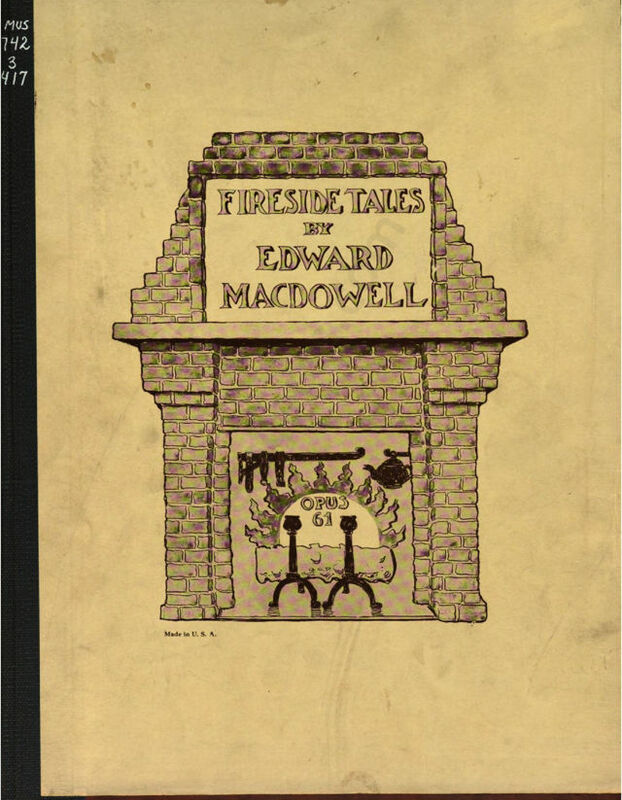 230 scores found for "Edward MacDowell"